Sky TV abroad subscription in Netherlands with a Sky viewing card subscription service and Sky + HD Drx890 satellite or through a Now TV box and VPN router for The Netherlands. With a Sky HD box and Sky UK viewing card you would have the 500gb hard drive to record the shows, movies and sports throughout the Netherlands. 1080 HD viewing with Sky’s premium English language TV viewing package for Holland. As Europe’s leading provider of Sky Cards and premium Sky subscription packages to customers all across Europe, we are delighted to offer sky cards and satellite receiving equipment throughout Holland. We specialise in providing English TV to customers living and working throughout the Dutch Netherlands region. Our English TV in the Netherlands service will give you access to great UK TV viewing throughout Holland. So if you would like Sky in the Netherlands / Holland or even Now TV boxes and subscriptions in the Netherlands / Holland we have the Expat tv solution for you. Sky Sports including English Premier League football, Sky Cinema, Great entertainment packages and Freeview / Freesat channels like BBC, ITV , Channel 4 or channel 5 are all available in Holland. If you are looking for the BBC iPlayer, ITV hub or the On demand facilities then look no further than our VPN router for Holland which will work with a Sky + HD box to give the very best in top picks and catch up in the Netherlands. View Sky in Holland with Skycards.eu the solutions specialists. Through satellite and dish or through IPTV, receive the channels you want…. anywhere. If you are looking for internet TV in Holland then now TV may be the solution offering pay as you go British TV in Holland. From Amsterdam to Rotterdam there is a UK TV package for everyone to enjoy in Holland. Expats can now receive the English TV they miss. Sky TV Europe for Holland would give you the channels you miss, subscribe with us and you will receive English Sky TV for Europe from the UK’s Premier Broadcaster in The Netherlands. Extend your viewing pleasure for only £10 per month with our VPN router and British VPN service for Holland. Receive quality On Demand facilities in addition to over 400 premium channels including many in HD. As well as the iPlayers for the Netherlands mentioned above you would also have access to thousands of movies, hundreds of box sets, Sky box office events and Sky store. Also have access to Now TV in Netherlands with our VPN service. View on up to 4 devices. Now TV Multiroom available, only one account needed. 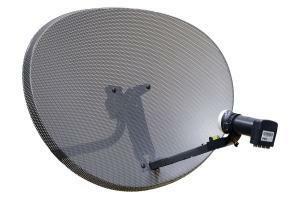 In Holland, you only require a Zone 2 Sky dish (as shown) to receive a clear signal from the Astra 28.2E Pan-Europe satellite beams, although we usually recommend you use a dish at least 1 metre in diameter for optimum reception quality. Sky TV picture quality in Europe greatly varies depending on the signal strength in your region which may be affected by local terrain. TV reception in Netherlands for English Telly is very good in most areas. To be sure of the correct size dish required where you live, please contact your local satellite dish installation company for confirmation. Coming soon to Skycards.eu… Sky Q in the Netherlands with full UHD 4K viewing offering the biggest variety of channels. What parts of Holland can receive Sky TV signals? Getting UK satellite television in Holland is made simple with SkyCards.eu. All of our packages and equipment are available to order online and are shipped via UPS tracked courier, meaning you get your order quickly and with minimal delay. If you require our Sky TV services outside of the European broadcast footprint, please call us on +44 (0) 8443 727 363 to discuss your requirements and we will make our best recommendations based on your locations and needs.